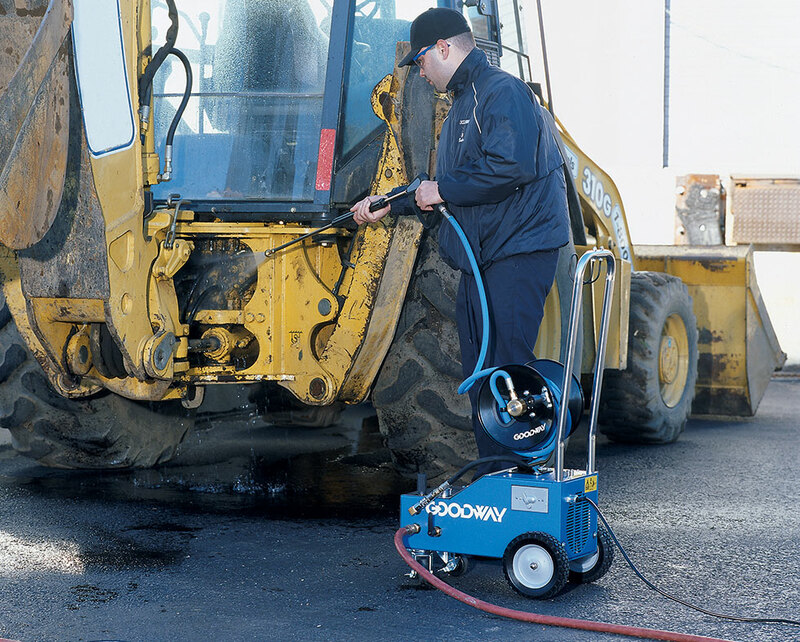 The GPW-1400 Heavy-Duty Pressure Washer is one of our most versatile units. Not only can it be used to cover a wide range of applications as a traditional pressure washer, but with its pressure regulator and pulse control, it can be easily converted into a powerful PulseJetter Drain Cleaner. 1400 PSI at 1.7 GPM. 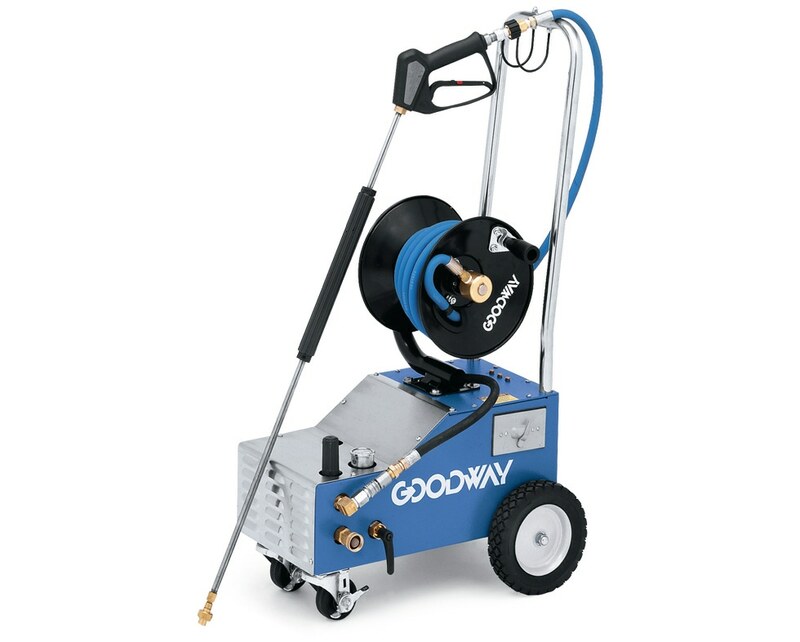 GPW-1400 Heavy-Duty Pressure Washer includes: GPW-1400 Heavy-Duty Pressure Washer, 3' wand, reel, variable pressure nozzle, 25' high pressure hose and cart.